In the NBA, it was a rematch of the NBA’s biggest rivalry. The Lakers and The Celtics. Earlier in the season, The Celtics came into LA and pummeled the Lakers hard. That game showed that the Lakers couldn’t beat the contenders, and started a string of “The Lakers are done” articles. Well, the Lakers knew that they had to come into Boston and teach them a lesson. 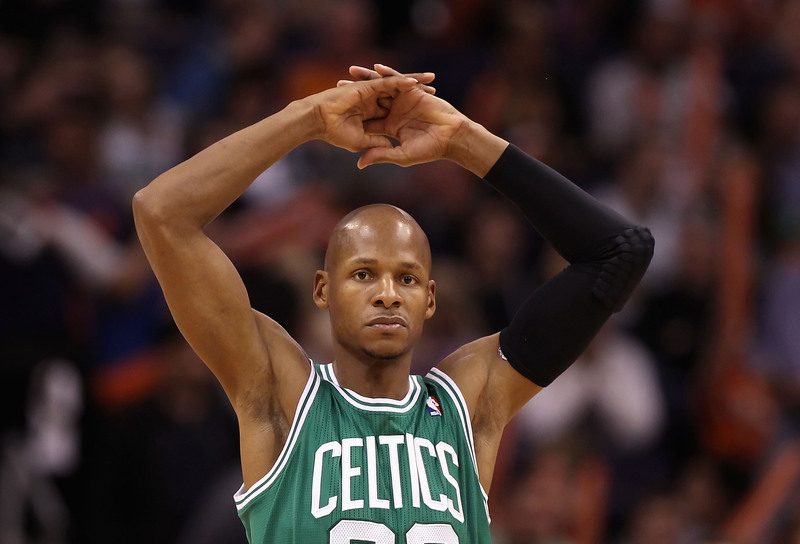 The Celtics got out to a big early lead behind some phenomenal play from Ray Allen. Not only that, but last night, Ray Allen set a very notable record. He now sits on the throne of “Most 3-pointers made in an NBA career”. He has hit 2,562 3-pointers. He topped Reggie Miller, who was there to give him a hug of congratulations. But, the Lakers would come surging back in the 2nd half behind their man Kobe Bryant. He finished with 23 points as the Lakers took care of business in the Garden. Maybe they can finally turn their season around. LA Lakers 92, Boston 86. Elsewhere in the NBA, a surprising end of an era. 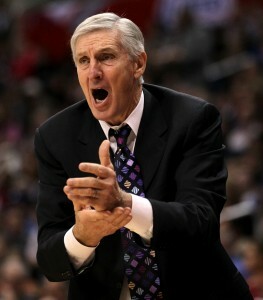 Jerry Sloan has coached the Utah Jazz for 23 seasons. He is revered in Utah and is one of the only constants in the league. He coached the great Stockton-Malone teams, and kept them competitive when his stars retired. Then he led a resurgence this decade which moved the Jazz into one of the most respected teams in the league. But, yesterday, Jerry Sloan announced his resignation. This is a shocking move, especially because he never mentioned that this would be his farewell season. He just stepped down mid season, which makes you believe something was terribly wrong. The Jazz started off strong at 15-5, but have truly fallen from grace lately. There are rumors that Sloan and his point guard/captain Deron Williams don’t get along. Late in a recent game, Williams called his own play and ignored the play that Sloan drew up. Something wasn’t right behind the scenes and it led to Sloan’s retirement. Sloan has been the longest running head coach in all of the major 4 professional sports. It was a great era. Finally, in college basketball, some great news for fans. This year, the March Madness Tournament will be broadcast across 4 networks. Typically CBS has all the games and runs them 4 at a time. This typically leads them to jump around in the closing minutes of games trying to show you all the close buzzer-beaters. However, it really ruins the flow of things. Now the games will start 15 minutes apart on different networks so we can see the games in their entirety and choose exactly what we want to watch. You will be able to watch the entire final 5-10 minutes of a game without having to switch over to another close finish. This is going to be great!